UP’s 21st at CPAf’s 21st. Hon. 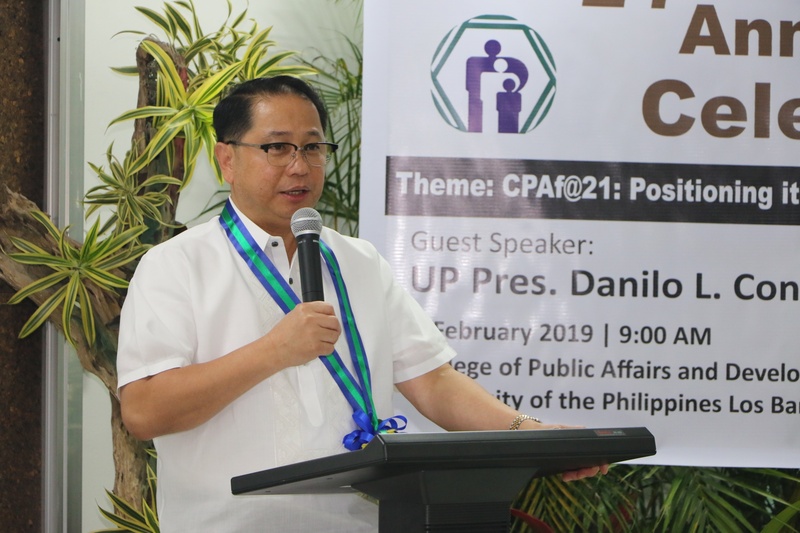 Danilo L. Concepcion, 21st UP President, headlined the 21st anniversary celebration of the College of Public Affairs and Development (CPAf) on Feb. 2. Taking note of the claim of Dean Rolando Bello that CPAf ranks as the second college with the most number of foreign students, President Concepcion encouraged it to further expand its foreign student enrollment in support of UP’s bid for stronger internationalization. President Concepcion said that he looked forward to seeing more foreign students who would pursue CPAf’s graduate programs in community development, development management and governance, development studies, extension education, and public affairs. Further on internationalization, President Concepcion suggested the use of a modular course design to encourage foreign experts to serve on a team-teaching basis, thus on shorter periods of time. Dean Bello had reported earlier in his opening message that CPAf is preparing for and making arrangements for foreign experts to join its faculty. He said that the college has made the University a leader in its niche disciplines through its curricular programs, research and extension services, and trainings and seminars for farmers and communities. “You confront the challenges of a divided and unequal Philippine society embedded in an interconnected global economy,” President Concepcion said as he called for better management policies that would lead to a more efficient utilization of scarce resources. He also urged the college to seek more partnerships with industry and to build more research and policy collaborations. “What we have awakened to in the 21st Century is the deepening understanding of connection. It is all about connection at every level among all sectors and all regions and across all disciplines,” he said, as he emphasized the value and scope of collaboration. Chancellor Fernando C. Sanchez, Jr. also graced the event and commended the college in his message. 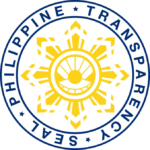 “CPAf has been tireless in its pursuit to advance the theory and practice of governance and development, particularly with respect to rural development and management,” Chancellor Sanchez said. Two new books from CPAf, one about community participatory action research and the other on water policy, were launched during the occasion. The celebration also served as a venue to recognize CPAf’s five retirees and 26 recipients of loyalty awardees, including personnel who have served the college since it was founded in 1998.